One of my favorite things about motorcycles is the seeming endless ways there are to mix and match parts to create new machines. Chain drive and fairly simple frames mean that it’s no big deal to say, sling an RD400 motor into the old GS500E you have lying around. But while many of these creations are born of necessity or just to see if it can be done, the classic Triton was a very functional motorcycle that actually managed to achieve some legitimacy among the motorcycling community. The Triton was a hybrid that used a Triumph parallel-twin engine and the famously excellent-handling Norton “featherbed” frame to create a seriously nimble motorcycle with good power and endless tuning potential. It also happens to be the name of the half-man, half-fish son of Poseidon in Greek mythology, something that the motorcycling community has sadly not capitalized on. 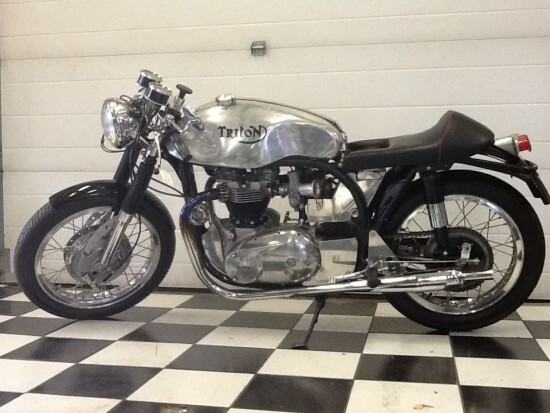 The choice of a Triumph engine might seem odd at first. After all, in stock form, it was actually a bit more powerful than the Triumph. But the Norton’s longer-stroke engine had a much higher piston speed and was considered less reliable, and a wealth of performance parts and tuning expertise were available for the Triumph as well. Interestingly, the non-unit design of both bikes meant that either four-speed gearbox could be used, although the Norton’s was generally considered superior. Really, all it took to make a Triton was a couple of donor bikes and a set of engine/transmission mounting plates, so it wasn’t too difficult to build one if you were reasonably competent with a set of tools, and plenty of these were built then and are being built today, so “authenticity” is hard to define and hard to verify. 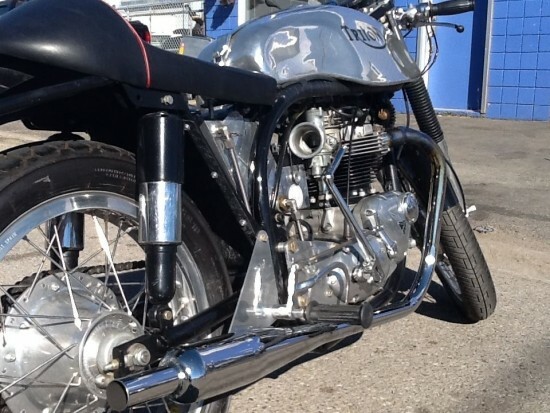 1971 Triumph T120R engine with 4 speed transmission. Unity Special Equipe UNAX2 Polished aluminum, Lyta style, 3 Gallon Short Circuit fuel tank. Far too many parts to list them all. For more information please feel free to contact us with your inquiries. 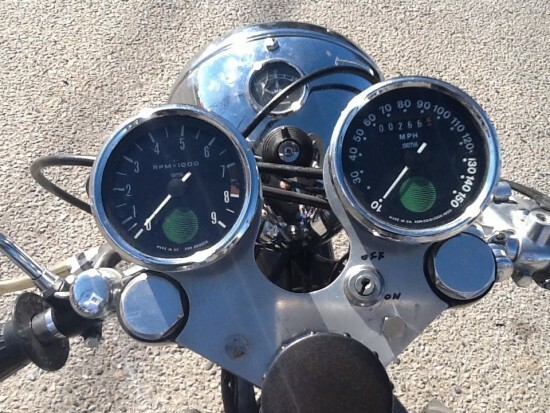 Clocks show 269 Miles. Actual mileage is unknown. Was acquired from a museum. Rides and sounds wonderful. 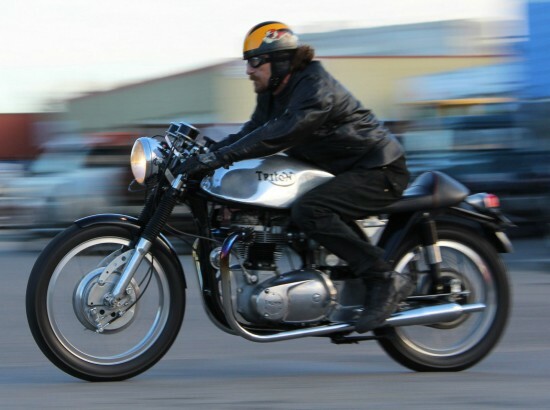 “But the Norton’s longer-stroke engine had a much higher piston speed and was considered less reliable” When the Norton engine and Triumph engine are running at the same RPM. 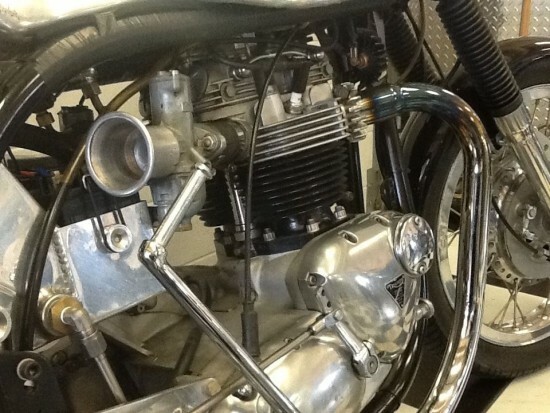 The Triumph engine could be modified to rev at higher RPM’S that still produced a safe maximum piston speed than the longer stroke Norton engine. 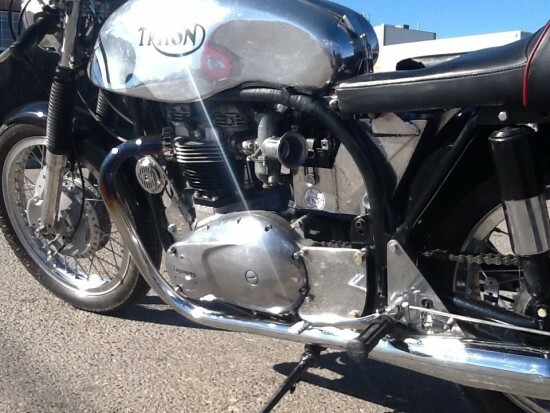 So the reliability issue only occurred at the high engine RPM a modified Triumph engine could turn. Right? Shouldn’t a Triton have had a Trident motor?